When you go to a used car dealership you want to be sure you are getting the best quality car you can. At Auto Action AZ near Phoenix, AZ 85001 we are stocked full with certified pre-owned carst hat go through safety and product testing so you don’t find some unwanted surprises just a few miles after you leave. The Auto Action AZ certified pre owned car dealership will help you find the vehicle you need at a price you’ll be happy with. Don’t be fooled by some of those other dealerships that claim to put their pre-owned vehicles through testing. At Auto Action AZ near Phoenix, AZ we carry only certified pre owned cars that meet high manufacturer standards. Some of those independent dealers don’t even check to see what aftermarket parts are in their pre-owned vehicles. At Auto Action AZ we make sure that any replacement parts in our certified pre-owned vehicles are up to manufacturer standards. Some of those aftermarket parts can actually to more harm than good and can actually hurt your safety rating in the event of a crash. A certified pre owned vehicle insures that you have vehicle that’s held to the highest of safety standards so you can rest easy knowing you have something that isn’t going to fall apart just a few miles down the road. We make sure you get a quality vehicle that can be with you for the long haul. 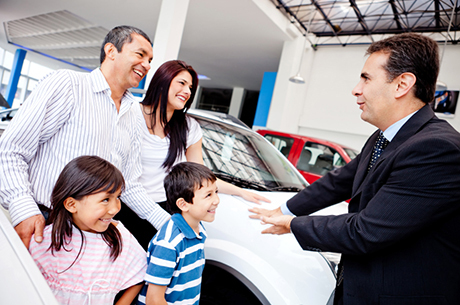 Another advantage of coming to our certified used car dealership is that you get great service from our dedicated team. We know exactly what goes into your certified pre-owned vehicle and we know exactly what it needs to keep it running in top shape. They’ll make sure you get the exact right car that fits your lifestyle, whether your drive it hard or easy, in the cold or the heat, we’ll be sure you get a certified pre-owned vehicle best suited for your needs . Ultimately getting a certified pre-owned car from Auto Action AZ near Phoenix, AZ means you get peace of mind knowing you bought a great product from a reputable dealer. You can drive with confidence knowing you have the best parts in a smooth running and safe vehicle and you know you’ll get it all at a price you can afford. The Auto Action AZ near Phoenix, AZ 85001 certified pre-owned car dealership will make sure you get the best car for your money.